Background information; please contact the Royal Resorts Turkey Justice team if you can help fill in the gaps. Nigel Desmond Andrews was born in Auckland New Zealand on 13th March 1959. Nigel Andrews left New Zealand with his brother Lionel Andrews and they both settled in the UK. Nigel Desmond Andrews met Margaret Anne West whilst living in Aberdeen, Scotland. The couple married on 22nd October 1999. Margaret known as Mags took her husband’s name and became Margaret Anne Andrews. In 2003 Nigel and Lionel set up a company named Rebo Promotions Ltd and opened ‘The Vaults’ nightclub in Aberdeen, Scotland, which closed after 5 months of trading, owing £680,000 to creditors. Nigel, Margaret, and Lionel left Scotland in 2003 and moved to Spain where they lived mostly in the Marbella, and El Ejido areas of the Costa del Sol. Following his recruitment as salesman for MRI (MacAnthony Realty International) Nigel worked in a variety of countries including Bulgaria, Turkey and Spain. 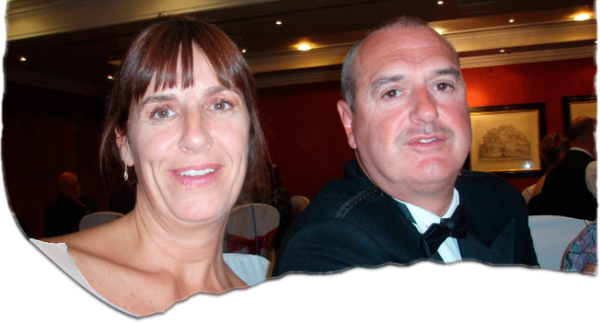 In 2009 Nigel and Margaret (Mags) set up Royal Resorts Turkey to defraud would be overseas property investors. More than 20 people have paid over 1 million Euros into bank accounts controlled by Nigel Desmond Andrews and Margaret Anne Andrews as deposits for fictitious properties. In June 2010 Nigel Desmond Andrews and Margaret Anne Andrews disappeared have not been seen since. They are on the run from the Spanish Police and Interpol. Can you help locate Nigel Desmond Andrews or his wife Margaret (Mags)? Please contact the Royal Resorts Turkey Justice team in the strictest confidence.